This navy maxi dress is perfect for the summer season. 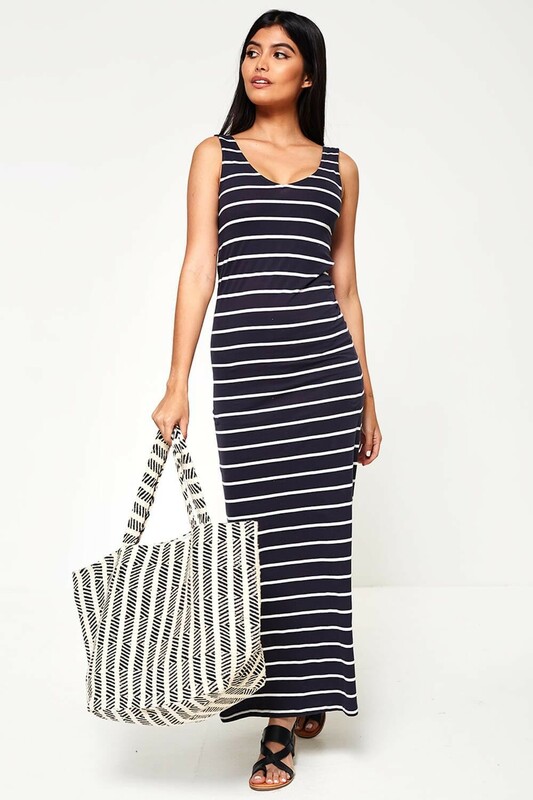 In a classic navy and white striped design, split sides and 100% cotton material. Style with flat sandals.